Master mariner (44) who was lost at sea in SS Spennymoor which was torpedoed"
SS Spennymoor was torpedoed and sunk by a German submarine 50 miles S.W. of Start Point (Devon, UK) on May 28th, 1915. The captain and four of the crew were lost. At the morning service, yesterday, the Vicar (Rev R. E. Holmes) dedicated a window in memory of the late Mr. George Knott who for many years was a bell ringer and a member of the choir there, and who lost his life through the torpedoing of the ship of which he was master. 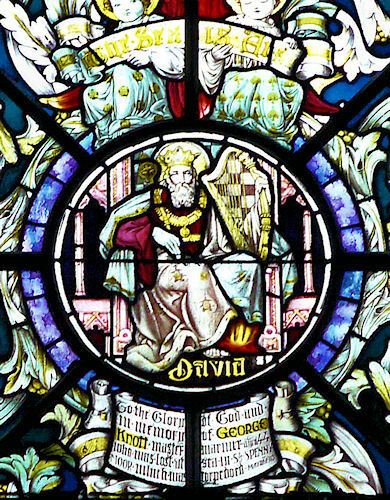 The window is the gift of his widow, and is the work of Messrs Thompson and Snee, of Gateshead. It is one of the upper lights on the north side of the church and has a handsome effect. 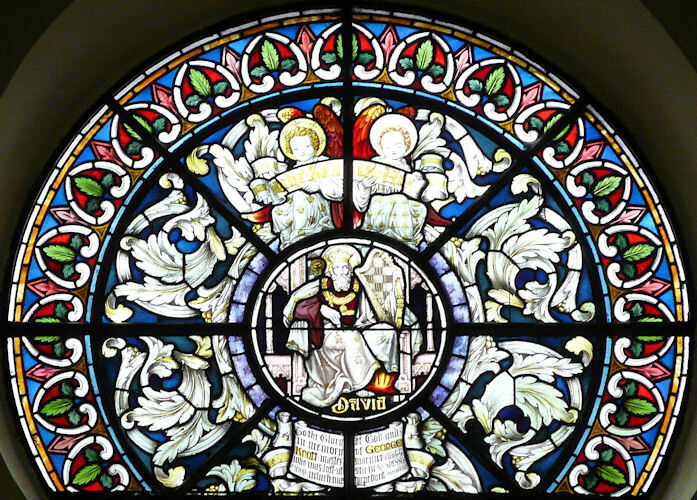 In the centre is represented King David the psalmist, and in addition to the necessary inscription the window bears the words "The sea is His," "And underneath are the everlasting arms."